This type of mask uses a tubelike frame in order to deliver the airflow to the nasal cushion directly. 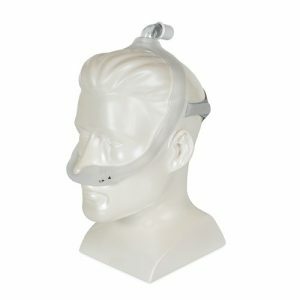 Its minimalistic design allows the CPAP hose to connect to the top of the head, and it also limits the contact with the face. A great relief is that the mask is available in all sizes of nasal cushion, so it suits different sizes and forms. 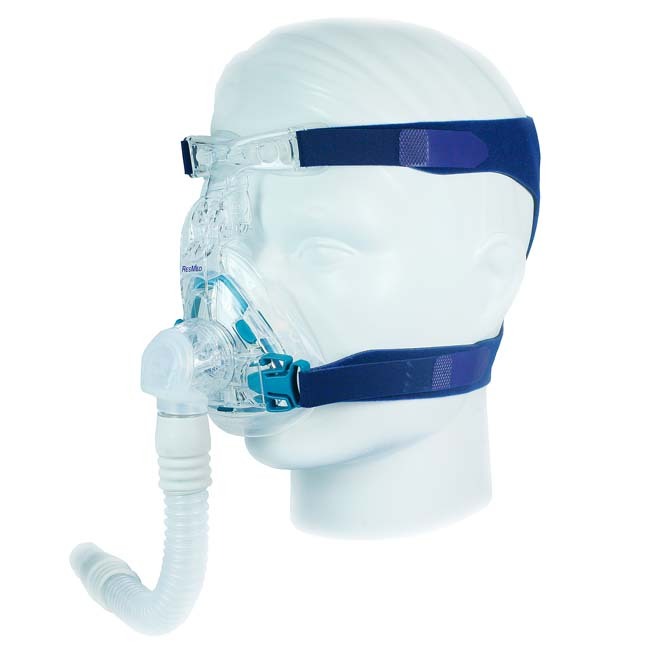 Despite the innovative tubelike frame, and the minimal contact design, this mask has some other good features too: there are multiple cushions includes in the packet, a hose connection at the top of the head, and a fabric wraps are included too. The DreamWear Nasal CPAP Mask with Headgear is considered as one of the best CPAP Nasal Masks, because of its easy placement, because it enables a stable seal during the night, it rests under the nose sealing the both nostrils, so people don’t need to cover the entire nose. This is an advantage over the old nasal masks, which helps in alleviating discomfort and irritation on the nose bridge. This design allows people who wear it to feel free while they watch TV before going to bed. A great improvement that grew up from earlier versions, using the gel cushion in its basics. This new mask allows exhalation of the micro ports, which reduce the overall sound. It also is provided with System One Resistance Control. Maybe the good side of this mask is that it covers only the nose in order to deliver an air flow. The technology this mask uses is known as Improved Gel Cushion Technology, and it uses a dual gel cushion and a silicone flap system, with that difference from the earlier versions that the gel today is softer which enables greater comfort. Also, there is a support of the gel cushion-the separate silicone membrane which snaps over the gel cushion, and it provides Sure Seal Technology (SST) and increases the life of the gel cushion. 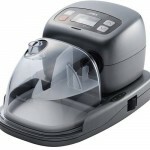 Why the Respironics Comfortgel Nasal Cpap Mask Headgear is the best CPAP Nasal Mask for its clients, lies in their comments related to the high level of comfort that it offers, and they are reordering it continuously. But, on the other hand, a small percentage of the clients claimed about the way it fits, or, in other words, they were unsatisfied from the reason that the mask didn’t hold the pressure unless they pulled the headgear very tight to their faces, and this situation caused a soar on their upper lip at the bottom of the mask, within just a couple of uses. 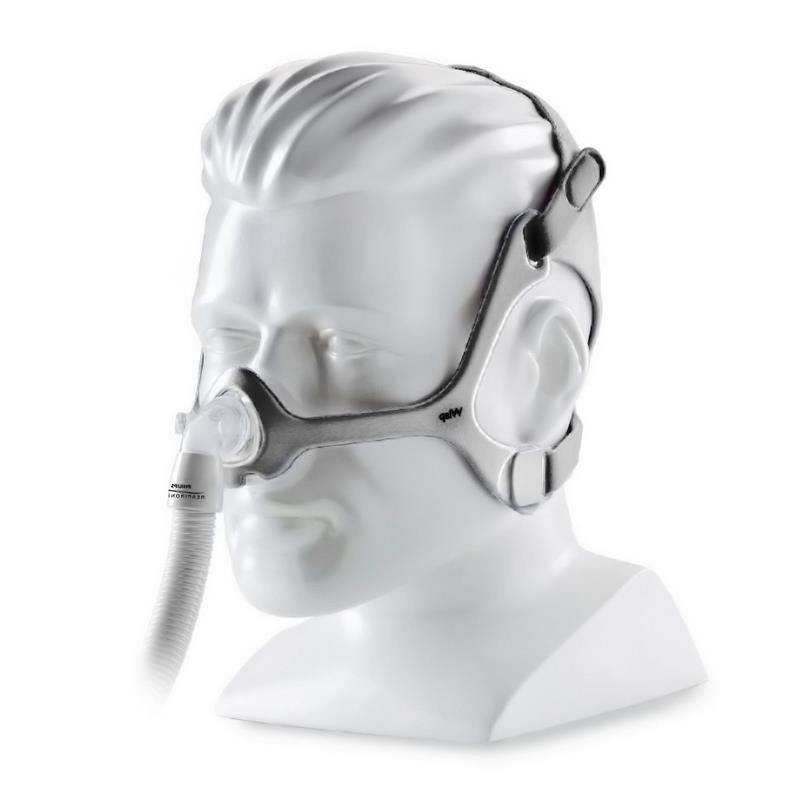 What put this mask on the list of Best CPAP Nasal Masks is its lightweight design. It weights less than an ounce, and it also reduces the chance of red marks. The SleepWeaver Advance Nasal CPAP Mask with Improved ZZZephyr Seal presents the second Generation of Headgear, and fits better and also provides better stability. The possibilities to update the exhalation, the sleep position options, the unique lightweight and inflatable design which means no hard plastic, but just a gentle design, the adjustment options, the softness which does not allow any skin irritation to happen, are great facilities which make the mask satisfies all the client’s requirements. Also, clients can choose between 5 colors, and when it comes to the size, there is one size that fits most. Many satisfied clients talk about their experiences with the mask and said that the mask is very comfortable and very light. But, on the other side, they have found an issue related to the very large headgear. 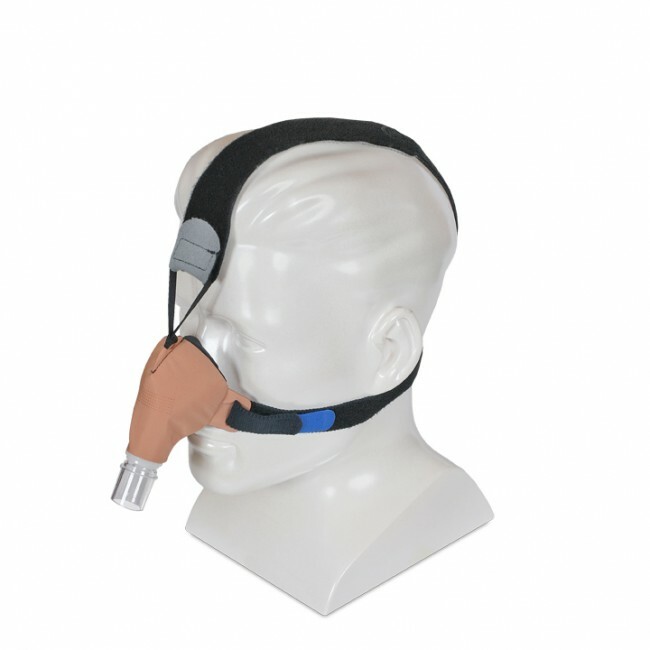 The first thing typical for this mask is that it is the best CPAP nasal mask that gives a full forehead support. It has nothing on the forehead, which makes it more comfortable. The dimensions of the Wisp Nasal CPAP Mask with Headgear are: 17 inches or larger is the neck size, and the hat size is 7.25 inches or larger. This mask is so useful because of its flexible short tube, which serves to connect the long hose and the cushion, while it allows movements without losing the seal position, at the same time. The mask is also easy to fit and seal, the cushions are available in multiple sizes. Also, the mask has a design that provides a minimal contact. What other this mask gives to the users, is the feeling to watch TV free, without something that will actually sit between their eyes. Users are also satisfied because they find it very simple, less intrusive, and the important- comfortable. Thanks to this mask, they have a full view to the TV or to the book they are reading. But, on the other side, the users need to tighten the mask really strong to their faces, which is strongly undesirable feeling. Everyone who wears a mask, wants to have a good sleep. But, some of the masks do not provide a good sleeping, because of their geometry, their dimensions and the material they are made of. 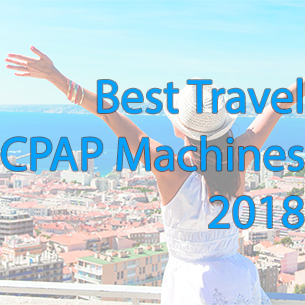 But, the Resmed Mirage Activa Nasal CPAP Mask with Headgear is considered as one of the best CPAP Nasal Masks, because it has an active seal. 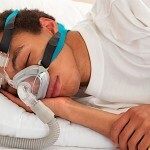 The ActiveCell Technology that lies in the basics of this mask, allows different movements during sleeping. It just naturally adjusts to the positions that the user makes while he is sleeping, and it does not demand too much tightness. 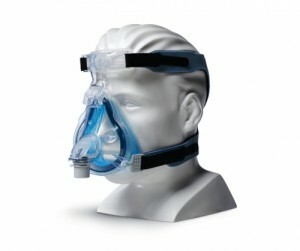 There are many good reasons why users should buy this mask, as: the One Touch Elbow which allows a very simple removal of the air tube while wearing the mask, then the Removable Cushion Clip which serves for quick mask cleaning, the Forehead Support that allows adjusting in up to 4 different positions, while it increases the stability at the same time. But, on the other hand, for those who find themselves claustrophobic, they must carefully regard the mask features and setting, because the bottom of the mask has an extra flap and almost covers the mouth.